An area you want to focus on as a runner is your foot health. Weak feet are only manifested in traditional running shoes because the feet are isolated from being stimulated to work naturally, losing muscle and nerve function over time. And, when the feet are weak, its highly unlikely to run pain-free. It’s important to know that going barefoot or minimal is a good starting point to make sure your feet become stronger. It is only possible to strengthen the feet via less sole materials under the foot as this enables the feet to be continually engaged in movement. This is why I love the Vivobarefoot One Running Shoes, because the barefoot construction of the shoe forces the feet to work independently which does a lot more to prevent injury than traditional running shoes. The traditional running shoe is a barrier for developing strong feet. The Vivobarefoot ONE is a powerful intervention that gets your feet more connected with the ground by dramatically increasing tactile stimulation, which is especially important for building stronger soft tissues within the foot. What I appreciate the most about the Vivobarefoot ONE is its wider-than-normal toe-box. Running in wide minimalist running shoes can single-handily improve foot health. A wide toe-box is essential because it allows your toes to expand whereby toe spreading is key in providing additional balance and impact absorption during forefoot running. The Vivobarefoot ONE is a light-weight, zero drop, versatile, high performance minimalist running shoe intended for accelerating running performance by encouraging a forefoot strike running style. The Vivobarefoot One is an amazing forefoot running shoe because it is flat and has no added support, which is what you need to sufficiently build foot strength for running. 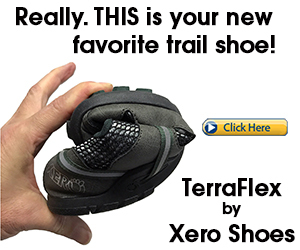 The One is also more minimal than the New Balance Minimus and the Merrell Vapor Glove. 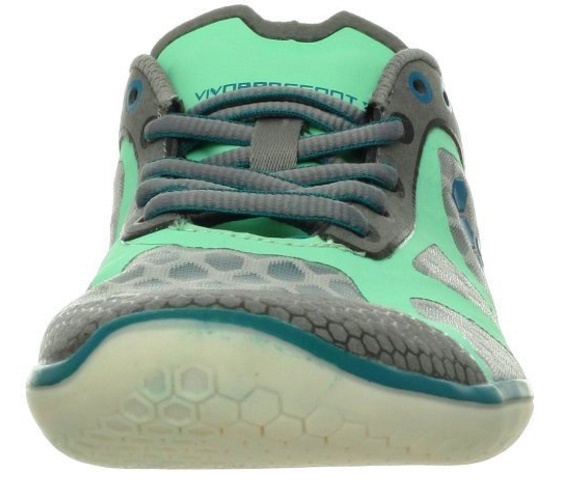 The Vivobarefoot One has a 2.5 mm thin outsole, making it easier to monitor your forefoot strike when you are running. 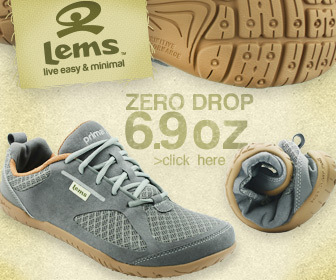 But, if you are looking for more comfort and protection, the One also comes with a thin, removable insole. 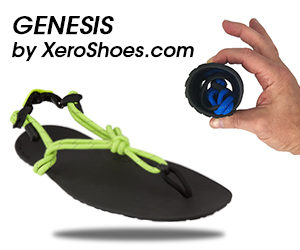 The One is exceptionally durable and can be worn in obstacle races, on asphalt, concrete, gravel, mud and snow. Because of the wide toe box, the One lets your toes spread out naturally, improving dynamic balance during running. The Vivobarefoot One is as close as you can get to being barefoot without compromising durability. The true nature of the One is to help you overcome discomfort and injury when forefoot running. Finally, the concept of proprioception does help clarify why shod runners run so differently from barefoot runners. The Vivobarefoot One is a big leap from the standard running shoe –the One is elastic and thin and is central to the reason weak feet get stronger. 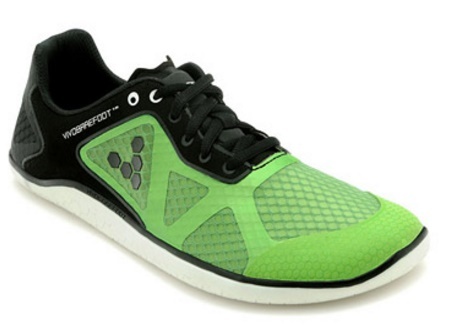 Be sure to check out my other reviews and recommendations on barefoot-inspired running shoes for forefoot running.